The new Strike King Swinging Sugar Buzz is to Bass what candy is to a kid. Surface-churning prop creates a loud clacking sound by hitting the head of the lure offering a ton of noise and commotion while the free-swinging skirted hook waves wildly back and forth throughout the retrieve. 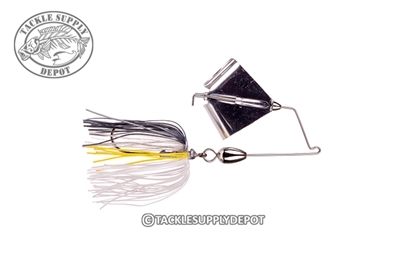 With a free swinging hook not only does this provide additional action to the lure but also takes away leverage from the fish for throwing the bait when hooked.